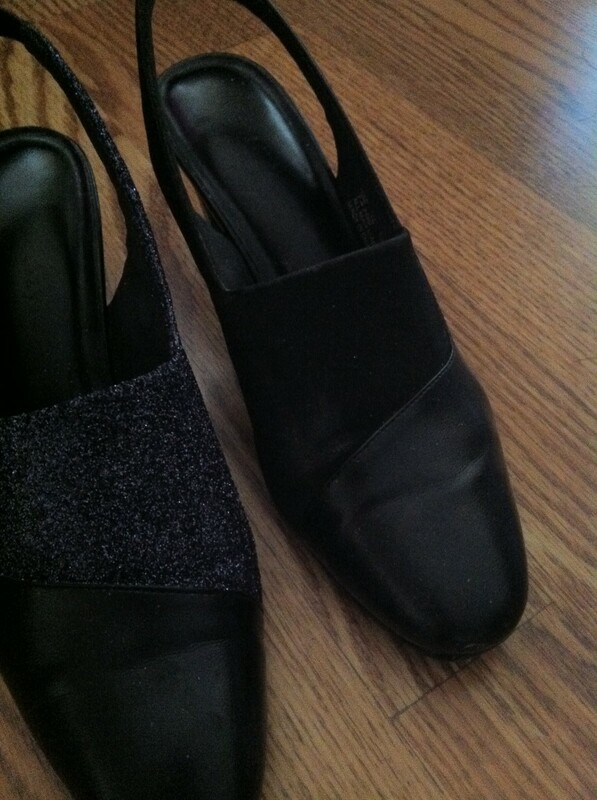 I was editing my closet the other week and found a pair of shoes that are very comfortable and by a good manufacturer. One of my favorite pairs of shoes, actually! 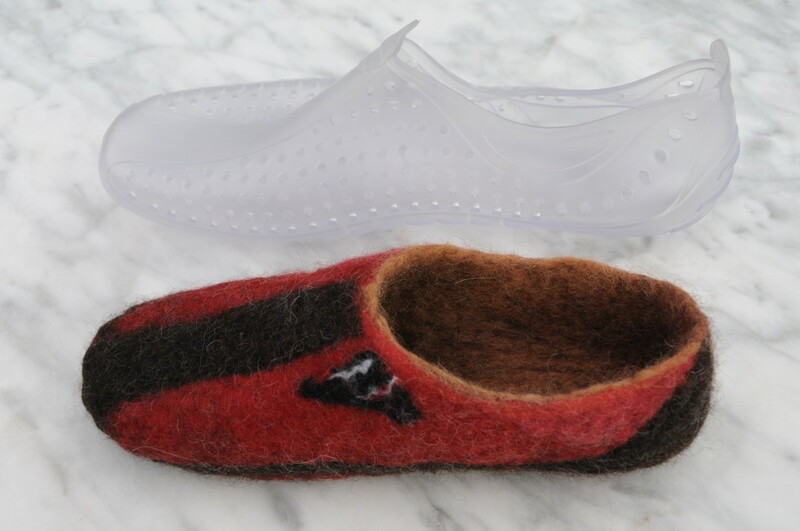 But looking at them objectively, part of each of them was looking really quite tatty—a felt-like swoosh that covered almost half of the shoe, but the felting part was wearing off in uneven patches. They weren't even good enough to donate or garage sale. Discouraged, I put them in the discard pile. Later, my creative brain started working on the problem and I found a way to not just re-cycle or re-use these shoes, but to UP-cycle them. It was an experiment, to be sure, but it worked with excellent results so far. The shoe on the right is where I started from in each picture (it looked a lot worse in real life). And the left one is where I ended up (it shines with understated glamour in real life). There is no limit to the creative possibilities! 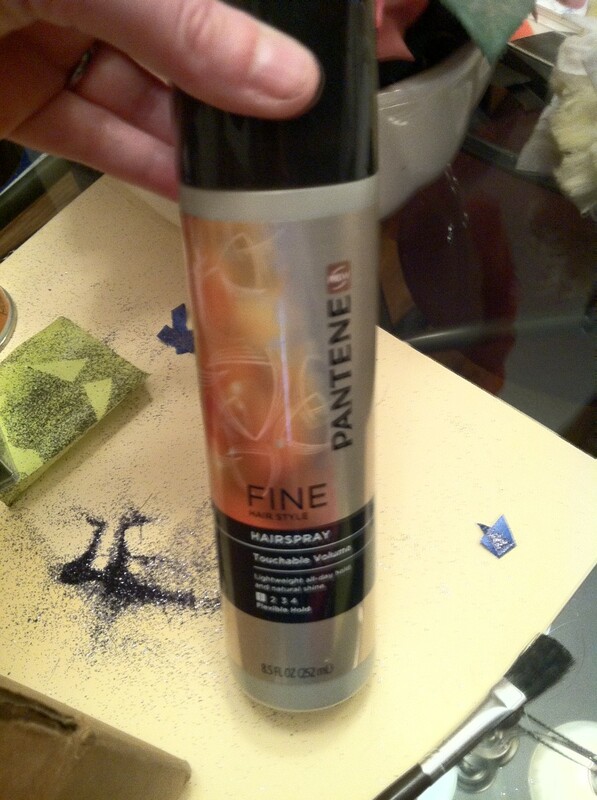 • Spray adhesive--get very sturdy adhesive: you don't want to leave a trail of glitter everywhere you walk in these shoes! 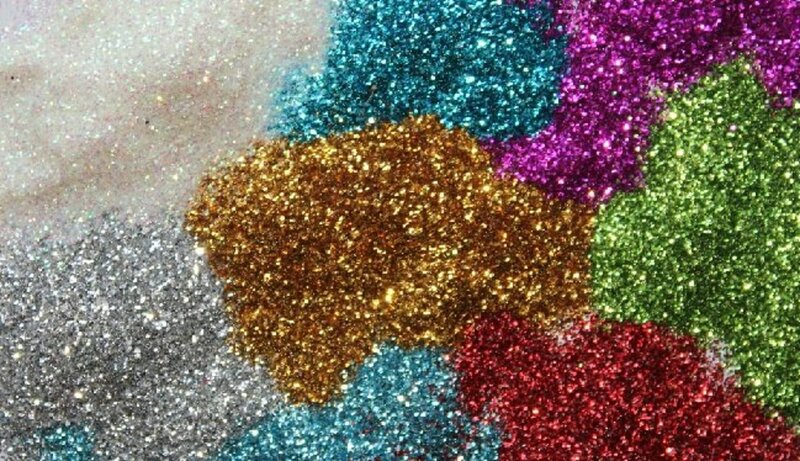 • Extra-fine glitter in your choice of color(s). Note: A little glitter goes a VERY long way! • A spray booth where you can leave your project to dry overnight without being moved or disturbed by people or pets. I used a small cardboard box with tall sides to (attempt to) contain the adhesive spray and glitter. One caution before you begin any project like this: the adhesive glue that I used stays somewhat tacky even after it has “dried”. So, any overspray will not be fun to clean up. Make sure that your work area is appropriately covered with newspaper, a painter's tarp, or something else that's disposable. One more caution: the glitter will get EVERYWHERE no matter how careful you are. If you can do this project in a corner of the garage or basement (assuming the weather is of the correct temperature for the spray adhesive you are using) that will help to contain the mess. Keeping a vacuum cleaner nearby would be a great idea, too. Once you have everything you need and a space to work, you are ready to begin. 1. CAREFULLY take the lid off of the extra-fine glitter, making sure not to drop any and making sure that it is away from where you plan to apply the spray adhesive. 2. Cover anything that you don’t want to get sticky and full of glitter with painter’s tape. You might want to use thin disposable gloves, too. Tip: When I did the second shoe, a few days after the first, I stuffed a plastic bag inside of the shoe and then used painter’s tape to tape it in position. That was easier than trying to mask off the opening with tape alone—quite a bit of glitter had gotten into the first shoe. 3. Mask very carefully to ensure that all and only the parts you want glittery are showing. Don’t forget to tape the bottom of the shoe--this stuff gets everywhere! It took me about an hour to mask off each shoe. 4. 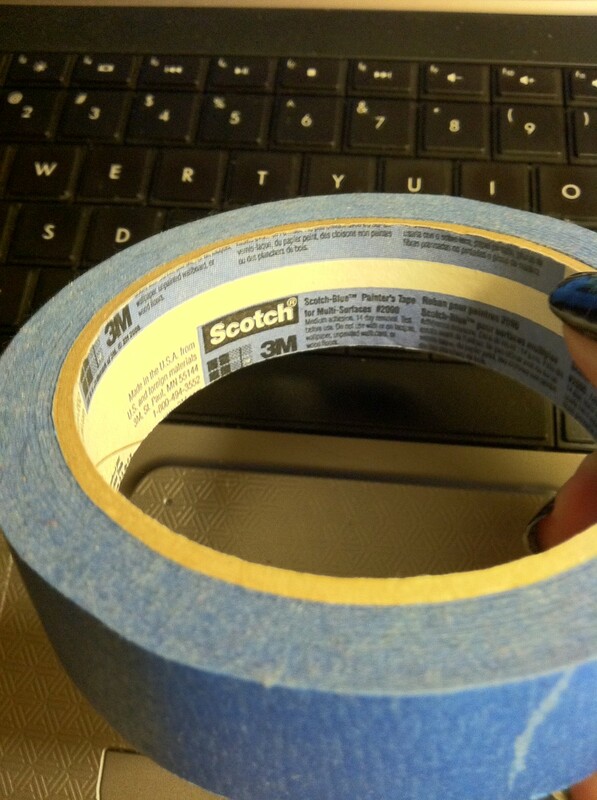 Next, I used the spray adhesive per the manufacturer’s instructions, making sure to get some in the small areas. 5. Next, I quickly applied the glitter evenly over all of the un-masked areas of the shoe, making sure to get the small detailed areas as well as the larger areas. 6. Now, the waiting begins. 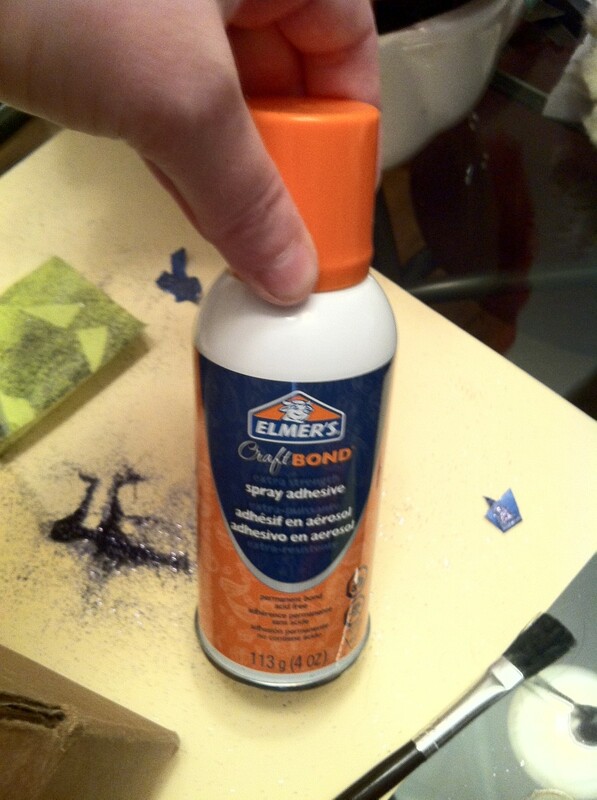 Wait as long as your spray adhesive says to wait before touching your shoe/object. 7. After the glue is dry, shake the object to remove as much loose glitter as possible. Tapping the edge of the shoe on the work surface might help, also. 8. (Probably optional) Out of concern for keeping the glitter in place (shoes take a beating, after all), I sprayed the glittered areas lightly with hair spray, just to further discourage the glitter from falling off. I waited a few seconds for that to dry, then repeated the shaking process: all of the glitter appeared to be fully attached to the shoe. 9. This is the messy step: removing all of the painter’s tape or whatever you used to mask off the non-glittery parts of your shoe/object. Remove the tape carefully and slowly so that you don’t drag along an intentionally glittered area. 10. Shake off any extra glitter again (and use a damp paper towel—or 10—to get the glitter out of the inside of the shoe. Have you made glitter shoes? No, but I will after reading this! If you made glitter shoes following this procedure, would you do it again? Yes! It was easy and I love the results! No, I didn't get the results I was expecting. There are many different ways that you can spruce up worn but still good shoes. Please share your successes/failures here: I would like to hear how your project(s) turn out and I'm sure others would, too. Better yet, write an article about it! Also, if you have any changes to my procedure, please let me know: there may be a much easier way to do this, I’m not Martha Stewart. Girl, STOP....I was literally about to walk out the door to go to the craft store to buy some spray paint to fix my tarnished jewelry. But I quickly read this and I'm like...Jesus you are on fire! I'm currently selling basically everything I own, because we need the money but also BC I just had a baby and I NEED an outlet. I'm super creative and my brain is already on THIS! I literally have two giant bins full of shoes to get rid of, around 75 pairs of shoes. This...Will be fun. Yay!!!! When searching for the recommended shoe rack, you will search for an extensive number of options to consider from. great idea. I may use it to upcycle an old clutch bag that I have. Thanks, CraftytotheCore! Glad you liked it! 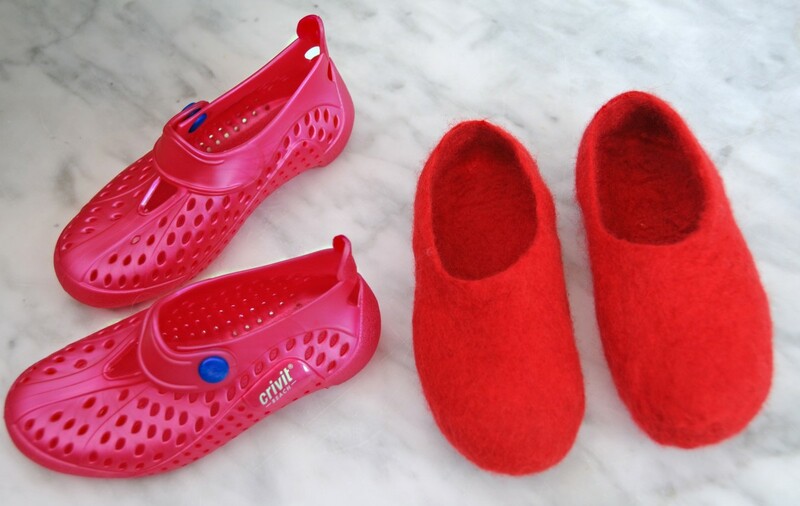 I was in the shoe store one day and a lady was trying to find a pair of sparkly red shoes for her daughter. She was going to be in a play as Dorothy from the Wizard of Oz. It was out of season for that style shoe. I almost recommended to her to glitter her own shoes. Very useful info! 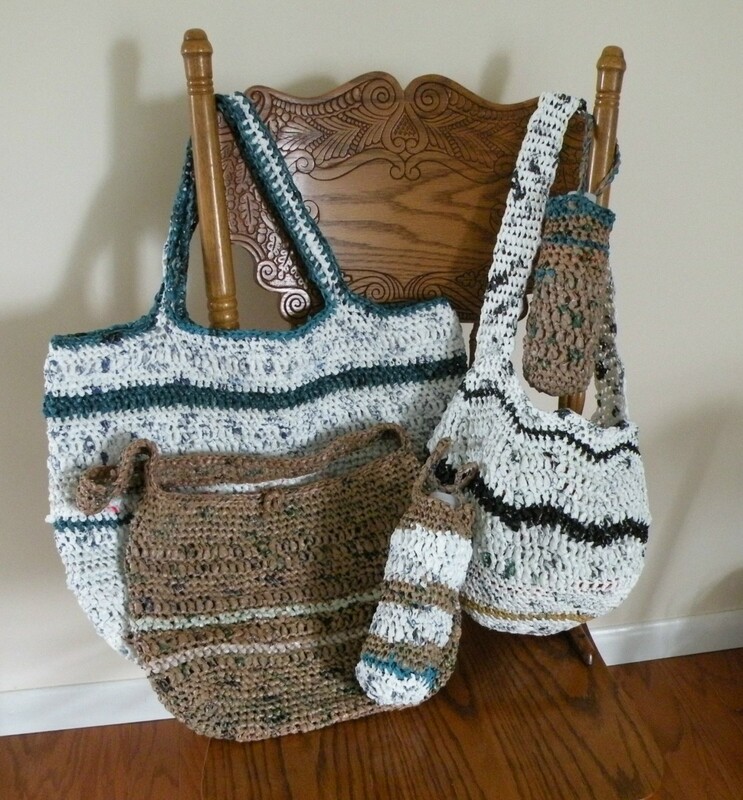 Thank you, everyone, again--especially anyone I missed thanking personally--for your comments, compliments, ideas for additional crafts/upcycling options for shoes (many of which would work for purses, too... :-) ), and for your up-votes and congrats on HOTD. I'm so thankful to have such a supportive community of fellow writers and creative geniuses to expand on ideas in new and different directions. We make one FINE community of creativity and support! Cheers to everyone on HubPages! You're welcome, Appsthatpayyou! (For some reason your comment just today appeared in my Spam comments folder. No idea why it got there or why it took so long, but it wasn't there this morning.) I agree, anything one can do to conserve while maintaining their lifestyle in these harsh economic times is a good thing. Cheers! Thank you so much for the encouragement and praise, Skye! I, too, enjoy reading hub articles. We have such a great knowledgebank amongst us that there's really no end to what we can do, both collectively and individually. Laura girlfriend what a fun idea! I love it. This is a keeper and it does open the door for lots of crafty changes with the glitter and glam. The shoe thing is the best! Your new shoe is happening for 2012! I truly enjoy moving about the hubs and getting nuggets of knowledge from a host of hubbers from all walks of life. Thanks for sharing. You keep going. Always share what is on your heart you will never go wrong. If just one person gets one nugget alleluia. (In regards to your comment to ursularose) God Bless you and yours laura. Skye. voted! Thanks, talfonso! I'll have to make room in the budget for Swarovskis, but I agree: they're the best. Also I love their pearls. Coating old shoes in glitter sounds like a wonderful idea! Did you know that glitter isn't the only thing that can embellish dumpster-worthy shoes? 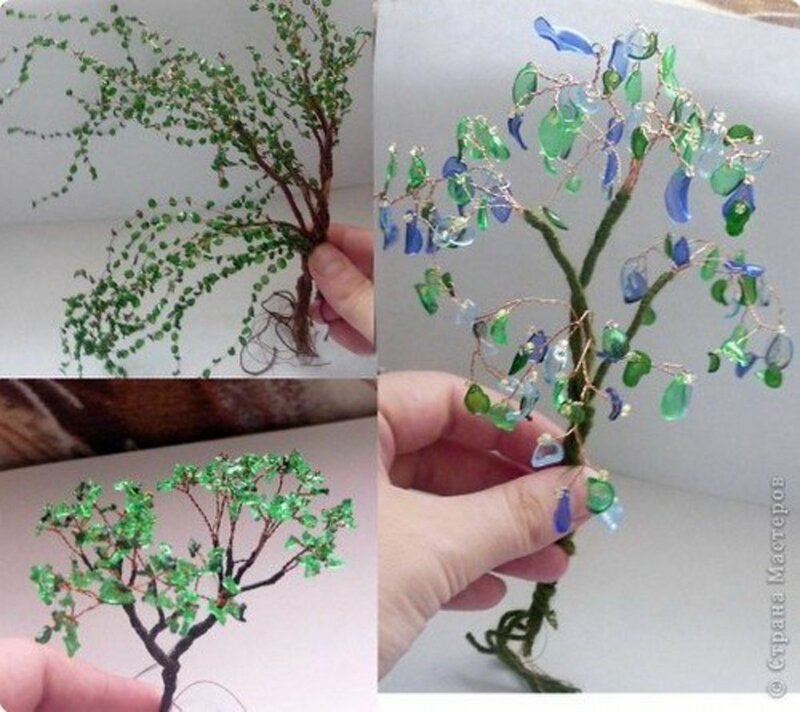 You can glue rhinestones (glass ones, like the Swarovski crystals, are the most durable and heat-tolerant) on them to make them SPARKLE. Anyway, this idea is cool. Oh, I hope you do! What fun! Let us know what you do and how it turns out! UrsulaRose, you can be my cheerleader any day! Thanks for so many more kind compliments. I was totally blown away by winning HOTD for this--I thought people might think it was silly. Cheers back to you! Hi, That Grrl! Nice to see you again. 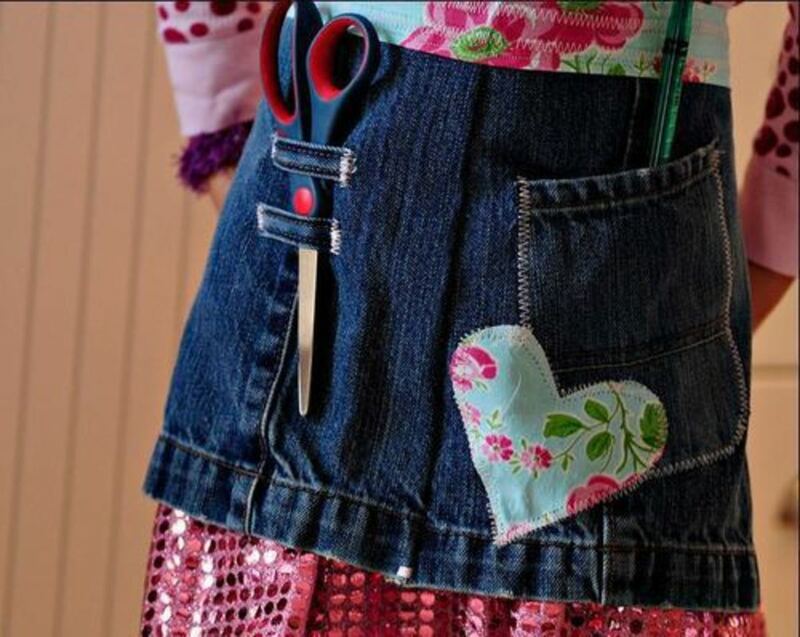 I'm sure you'll think of a perfect upcycling project, whether it's shoes or something else. Just let your creativity go wild! wordsmith2418--I'm so glad this has inspired you to take a second look at your shoes. You'll walk just a little bit taller in shoes you've "up-scaled". Buttons (one or many), feathers, and blossoms are all in style lately, too, if glitter isn't quite what a particular pair of shoes needs. Thanks, ComfortB! I was totally surprised (in a good way) about getting HOTD on this--I was just enjoying wearing some old favorite shoes again and happy to post a hub about it to share my process. Cheers! Rosyel Sawali--many thanks! I can't wait to see what ideas you come up with for up-cycling things. I hope you'll post hubs about them. urmilashukla23--Thank's so much for your praises, and I do hope you'll try this or something else creative and post a hub about it. Thanks again! Fantastic! Great minds think alike, as I've found several people now who have done this type of thing. Keep the creativity coming! Hey thanks, DeborahNeyens! I really appreciate it. I was TOTALLY surprized I got it, too, though. prairieprincess, thanks so much for your compliments and for your votes. 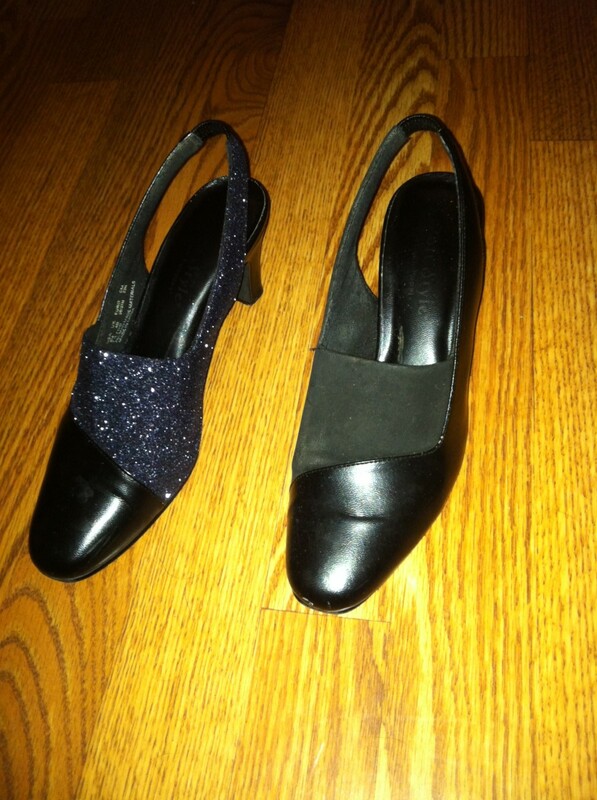 So far they seem to be sturdy, too (I'm not leaving a trail of glitter behind me everywhere I walk in these). Thanks for the votes, Natashalh! 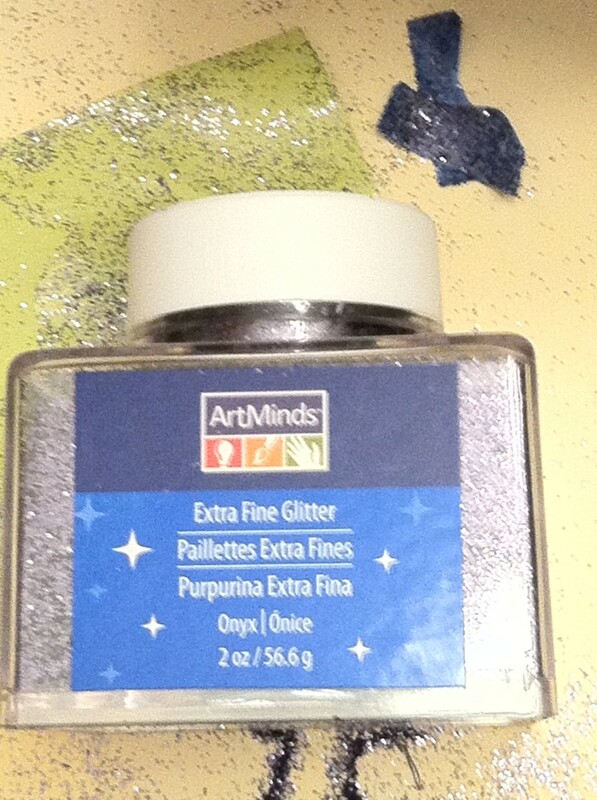 I didn't think there was anything messier than glitter until I started working with this micro-glitter. Be cautious! Then again, someone could get carried away doing projects with colored microglitter, so I can't say I'm resenting the vacuuming time. Cheers! Please do try it! It was so much fun to "save" a favorite pair of shoes.... Now I'm thinking of all kinds of ways of up-cycling things with little effort. I'm sure you'll find a purse or hat or pair of shoes that could use a little jazz, in whatever form you choose to provide it. Thanks much, alphonse george! Have a good night (if you're not already asleep)! Thank you so much, mary615! It didn't take much imagination once I committed to putting a good old pair of on my feet again rather than in a landfill. After all, they'd proven to work solidly in other ways, the fabric part just needed a bit of "polishing". Thanks for voting,too! Thanks Chrissieklinger! I figure we can fill the land with broken things or we can take a second to make them usable again. Exactly! This way I get the comfort of a favorite pair of shoes and the look of brand new. Keeley Shea, I'd recommend thinking beyond just glitter, too. One big intricate or simple button on the middle of the toe of the shoe, for example, or a small (quarter-sized) satin flower on the sides of each shoe. Infinite possibilities! Moonlake, it sounds like your "old comfortable shoes" were a big hit with everyone, including you. I'm glad you lived close enough to run home for your comfortable shoes, though. Old things get discarded too quickly these days, it seems. Thanks for your congratulations! I certainly had fun doing the project and writing about it. Thanks, Stephanie Hankel! The project actually was very easy to do. The hardest part for me was waiting 24 hours for the glue to be completely dry! 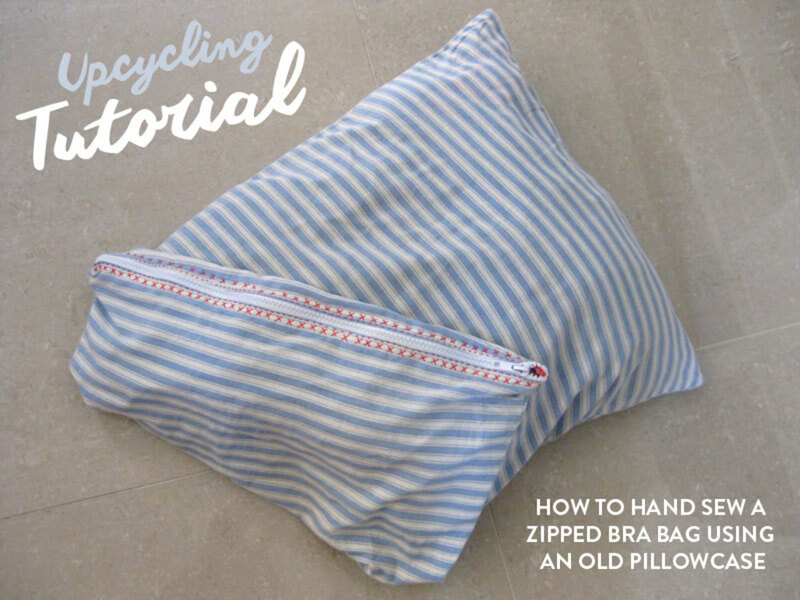 I'll read just about any upcycling idea. I don't have enough shoes to have old shoes to recycle for this one. You're SURE there was no pun intended? Thanks for the compliments and I look forward to reading your works, too. Thanks, Cyndi10! Especially for folks on a tight budget it's important to think "outside the box" and try new things. What a fantastic idea! Very creative. I always get discouraged when my shoes appear worn so quickly. (They don't make them like the used to!) This is a great option for handling that problem. Voted up. I like this idea!! I have a couple of pairs of shoes that are really comfortable but not very stylish. I think decorating with an antiquing type or perhaps pewter glitter will look really nice. Thanks for the info!! Congrats on the HOTD award. I love to upcycle shoes. Love this hub. Voted useful! Excellent job! Like the idea. Will try. Voted up and congratulations of Hub of he day award! My daughter just did this with a pair of boots and was thrilled with the way they turned out. What a clever idea. Congratulations on Hub of the Day. Those look great! What a difference and it really updates the look. Voted up and more! I love it - this is right up my alley! And you're right, gliter gets every where! Voted awesome and useful! Creative and fun. I want to try this sometime. Love your thought.You are great.Well deserved. Congrats on HOTD. This is such a great idea! You may not be Martha Stewart (I wrote a Hub comparing me to her), but you sure have a good imagination. I have worked with glitter before and it can be really messy. I used to hate when my kids did a craft project with it! You wrote very good instructions on how to do this project. Awesome idea! Glad to find new ways to keep things out of a landfill as long as possible. So simple but so gorgeous. This is a fabulous idea. Congratulations on your well deserved hub of the day. Great idea for our old shoes. And every lady feels better wearing new shoes. Great hub! Congrats on hub of the day! How creative. I have to go look in my closet and see what I can do with some of my old shoes that have been sitting there for years! Thanks! What a fantastic idea to spruce up a pair of old shoes! Much better than sending them to the landfill! Very nice. I bought new shoes for my granddaughter's wedding. Walked right out of the things while walking out of the ceremony had to go back home get a different pair of shoes. Put on some old comfortable shoes from my closet everyone remarked how nice they looked. Sometimes old is better. Took back the brand new shoes to the store and got my money back. Great idea you had they look nice. Congrats on Hub Of The Day. Hello Laura, Congrats on Hub of the Day. I like to change shoes and bags with add on pearls or those faux craft diamonds. Like your glitter, they add new interest to an old item, or they make a boring item a bit more exciting. Thanks for giving us a great tip. Take care. Congratulations on your hub of the day! This is a really creative idea for renewing and up-cycling old shoes. Your clearly written step-by-step instructions make the project sound easy to do. Nice job! Very creative and useful tip, will try your idea later. Thanks, Tom! Glad you got the urge to edit your closet... I need that urge more often ;-) besides, while deleting the obsolete items maybe I'll strike cold again. You may not be Martha Stewart (the world does not need two anyway) but you are a creative, talented, resourceful and thoughtful person who obviously cares about the world that you live in . Love the 'new' shoes.